UPDATE 6/07/13: New locations carrying bottles added on both Oahu and Maui. 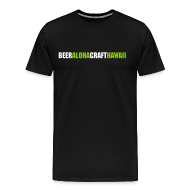 Up until a few weeks ago you could only find beers from Big Island Brewhaus at either the brewpub in Waimea or select bars on the Big Island. But that is all about to change, as the brewery has recently started bottling it’s beers and self distributing to the rest of the State. This is exciting news as there will be another local option hitting the fridges of our favorite bottle shops and bars. I caught up with Big Island Brewhaus owner and head brewer Tom Kerns for more info on their new bottles. Overboard IPA, White Mountain Porter, and Golden Sabbath will be year round. There will be other seasonal and special releases in the future, all in 22 ounce bottles. Is distribution currently limited to the Big Island? No. We are just beginning with self-distribution to introduce our beers and brand to select liquor stores, restaurants, hotels, and grocers throughout Hawaii. This coincides with us growing our production. We are a small brewery, but have the intention of growing to meet demand for our beers here in Hawaii. We can easily sell everything we brew here in Hawaii so there are no plans to do sales of any quantity outside Hawaii. We intend on handling the Big Island via self-distribution; and for the rest of the State we will start that way, but eventually utilize a distributor. If some establishment wants our beer, let us know! Any insight to when we might see some of your beer on Oahu again? 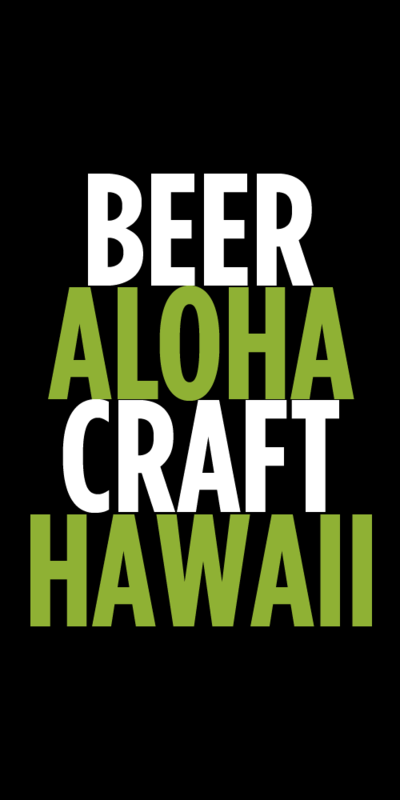 Overboard IPA will be on tap at Real A Gastropub beginning this week for “Hawaii Beer Week”. We will also have all three varieties available in bottles at Real and The Liquor Collection. We have contacted many establishments on the Big Island as well as Maui and Oahu. We hope to be sending beer to Whole Foods and Tamuras soon. We are excited to get our beer out to the rest of Hawaii! Be sure to support our local Hawaiian breweries. If you’re favorite bar or bottles shop isn’t carrying any locally brewed beer let them know they should be. I’m looking forward to having Golden Sabbath available all the time now! Tags: Big Island Brewhaus, Tom Kerns. Bookmark the permalink. Love the beers from Big Island Brewhaus. Can’t wait to taste the seaonal’s and other varieties. White Mountain Porter is now one of my favorite beers, absolutely fantastic and captures the tastes of the islands!